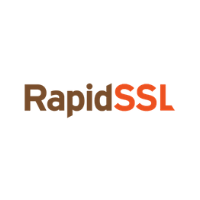 RapidSSL Wildcard Certificates help you secure all your subdomains with one, low-cost SSL certificate. A Wildcard certificate is more affordable and manageable than buying a certificate for each subdomain. Unlimited subdomains secured with just one RapidSSL certificate. Great Value. Latest encryption with a $10,000 warranty. Issued in minutes. Don't wait around to get your site secured. If you are interested in purchasing this certificate, then Servertastic recommends PositiveSSL Wildcard as an alternative. Receive a SmarterBundle package with $800 worth of SmarterTools Software when you purchase 2 years of this certificate*. If your wildcard certificate is issued to the from the base domain *.example.com then it will also secure example.com at no additional charge.